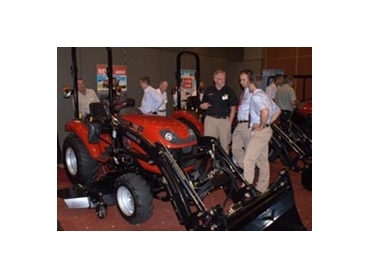 Agricultural equipment manufacturer, Case IH held its annual dealer meeting recently and revealed its product roadmap for 2010. The product roadmap includes the introduction of the MAXXFARM tractor series and a completely new product line, the Scout utility vehicles. Ranging from the MAXXFARM 25 to the MAXXFARM 60, there are six models in the MAXXFARM range. These tractors have the power to operate sprayers and high powered tillers in horticultural operations and feature the compact size and excellent manoeuvrability required in orchards and plantations. These tractors also have the versatility to handle a wide range of small farm tasks. Available accessories include mower decks, the Maxx-Lift front end loader with standard or 4-in-1 buckets. Created specifically for the MAXXFARM tractors, the new MAXX-LIFT loaders are compatible with each MAXXFARM tractor model and are offered with both standard and 4-in-1 buckets. They feature quick release buckets with Euro couplers. They area also quickly released from the tractor, enabling the MAXXFARM tractor to be quickly used in a range of tasks with and without the loader. Two new JX High Clearance tractor models (JX 80 and JX 95) for 2010 have equal sized wheels and high undercarriage clearance, making them ideal for row-crop conditions – particularly in field-scale vegetable crops – and allow the tractor to travel safely over raised beds. They are available in cab or ROPS configuration. The new JXU 115 tractor combines all the same efficient, cost effective features as the rest of the JXU tractor range, but features more horsepower. All JXU models now offer the option of a 20 x 20 creeper transmission, ideal for vegetable growers. Turf tyres have also been introduced as a factory option. 2010 also sees the arrival of the Quantum C series of tractors, a lightweight all rounder that combines the best of compact utility tractor engineering with the advanced technological features normally seen in larger machines. The Quantum C series comprises two models ranging from 86 hp to 97-hp. Case IH has also added significant upgrades to its Maxxum and Puma tractor ranges. “The Maxxum and Puma family have received a face lift with all models gaining a new style bonnet complete with shark gills and a new headlight design. Inside is a new seat fabric, which is more durable and more dirt resistant. The lighter coloured fabric gives the cab a fresher feeling,” said Stuart. The Case IH AFS Pro 600 Monitor controls boom functions and product application. This streamlines the cab controls, with just one controller for both product applications and boom functions and for the AccuGuide auto steer and mapping functions. “The AFS Pro 600 screen and receiver work across Case IH products, so farmers can maximise their investment in the technology and share data records and guidance patterns amongst the sprayer, tractor and combine,” said Stuart. In response to market demand, Case IH has added an AutoBoom ultrasonic sensor for centre section height control in all 2010 Patriot models. This sensor works in addition to up to four other sensors mounted on the boom to measure and adjust the boom height off the ground. A new, optional hydraulic activated grain bin cover/extension will be offered as a factory-fit option from 2010. It enables farmers to operate the grain bin extension from inside the cab rather than manually, saving time for farmers who transport their combines regularly. “On the cotton side, we plan to run demonstrations of the Case IH Module Express 625 for the 2010 harvest. The module-builder is a unique concept in Australia. We’ll have an experienced operator at the controls to show Australian cotton growers how much time and labour they can save with the Module Express,” said Stuart. Remote monitoring is a feature than can be enabled on Case IH base stations. The base station can report on the status of the base station and local conditions such as signal strength by adding a cellular modem. Stuart explained that remote monitoring will save farmers or network technician’s time as they will not have to drive back and forth between the farm and dealership to figure out the problem and get the right tools or parts to fix it. The remote diagnosis means the farmer or technician may only need to visit the base station once, saving a great deal of time and energy.